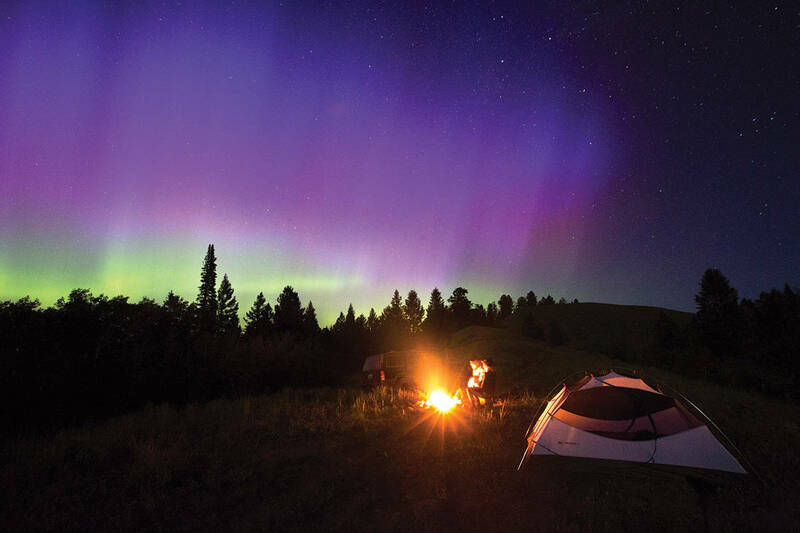 For a night to remember, try glamping, or stick with old-fashioned camping. 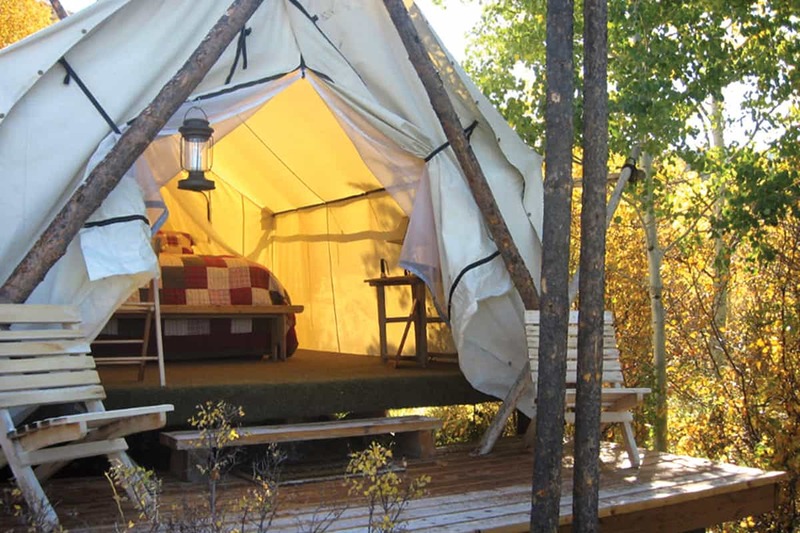 If you’re a traditional camper, but your tent needs drying out or you want a social scene, Colter Bay Village in Grand Teton National Park is the place for you. 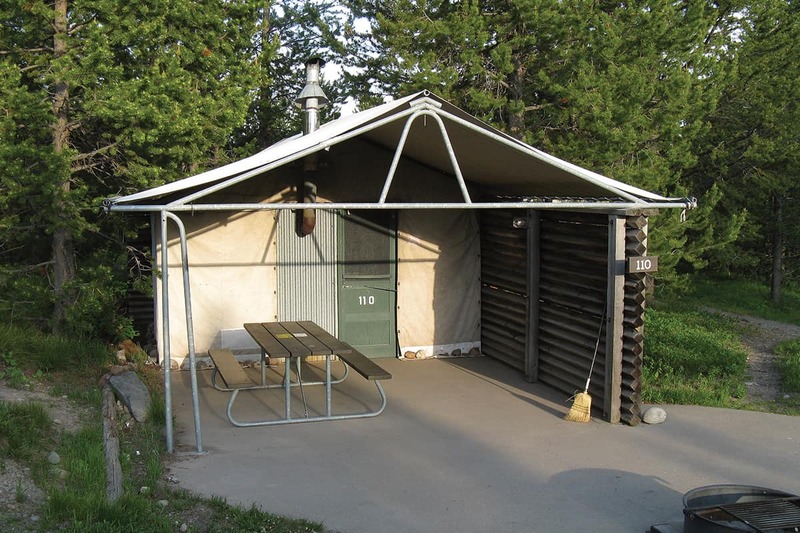 Colter Bay offers the amenities of a real vacation village—a Laundromat, a small grocery store, a restaurant, visitor center, museum, boat rentals, guided fishing trips, horseback rides, rustic cabins, tent cabins, and tent sites—and the outdoor feel of the park’s tent/RV campgrounds. And then there is Colter Bay’s view of the Tetons across Jackson Lake, which is drool-worthy. 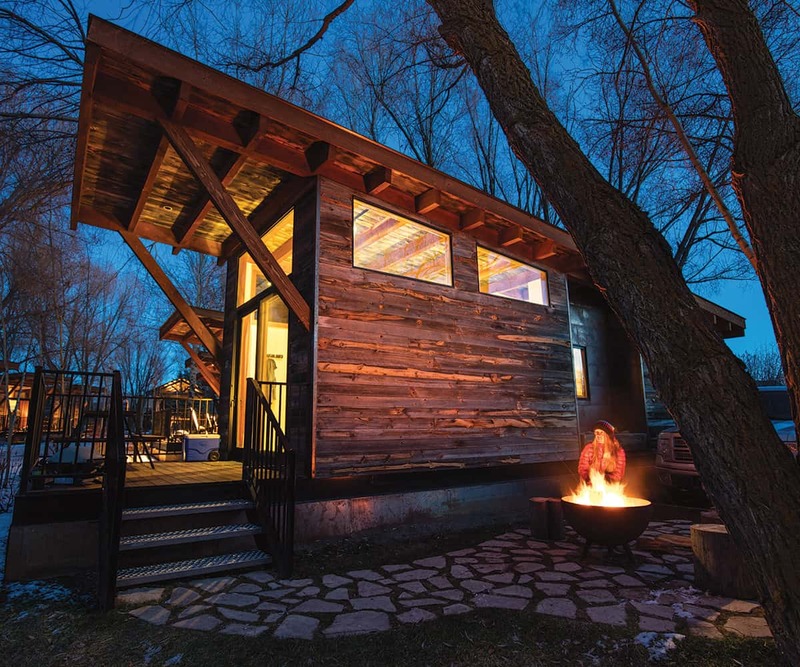 Colter Bay’s cabins, which aren’t much to look at but do have comfortable mattresses in addition to toilets, sinks, and showers, are historic. Most date from the 1920s and ’30s, but some are from the 1890s. Colter Bay’s cabins were moved to this site in the 1950s from the Teton Lodges at Moran, the old Jackson Lake Lodge Resort, and the Square G Ranch (located near Jenny Lake), among other places in the valley. They welcomed their first guests in 1957. 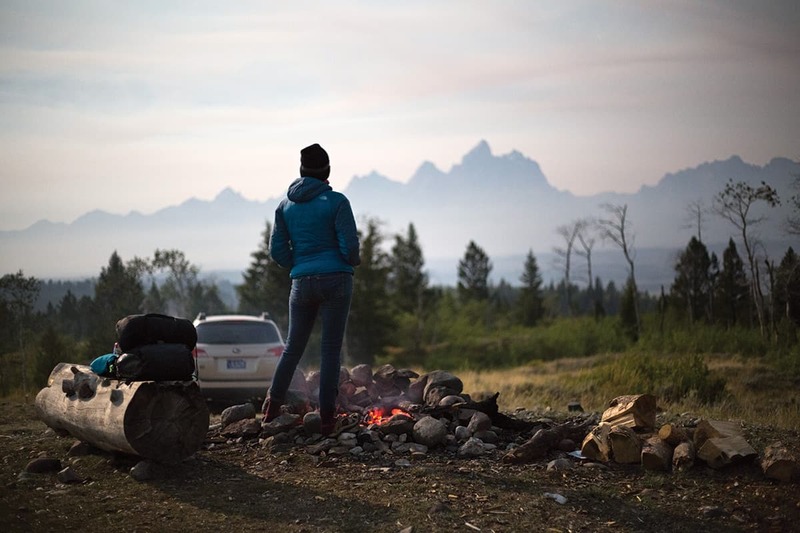 For the best car-camping spot in Jackson Hole, remember one word: Observatory. The Observatory is the locals’ name for a gorgeous spot on the edge of the Bridger-Teton National Forest (BTNF) and Grand Teton National Park. Since it is actually located in the BTNF, there are no permits or fees necessary for camping there. The Observatory is twenty-seven miles from Jackson’s Town Square. Follow U.S. 191 for twenty-four miles, and then, directly opposite the historic Cunningham Cabin site, turn right at Forest Road 30310. The last bit of this road is pretty steep; as soon as you hit this section, the campsites start. There are several to choose from, so if you’re the first there, take the time to check them all out. They’ve all got good views, but some good views are better than others. As soon as you arrive, it’s obvious how this spot comes by its name. On a clear night, the stars look so close you feel you can touch them. Subscribe to our mailing list to get notifications when we post new articles and when we publish new issues.